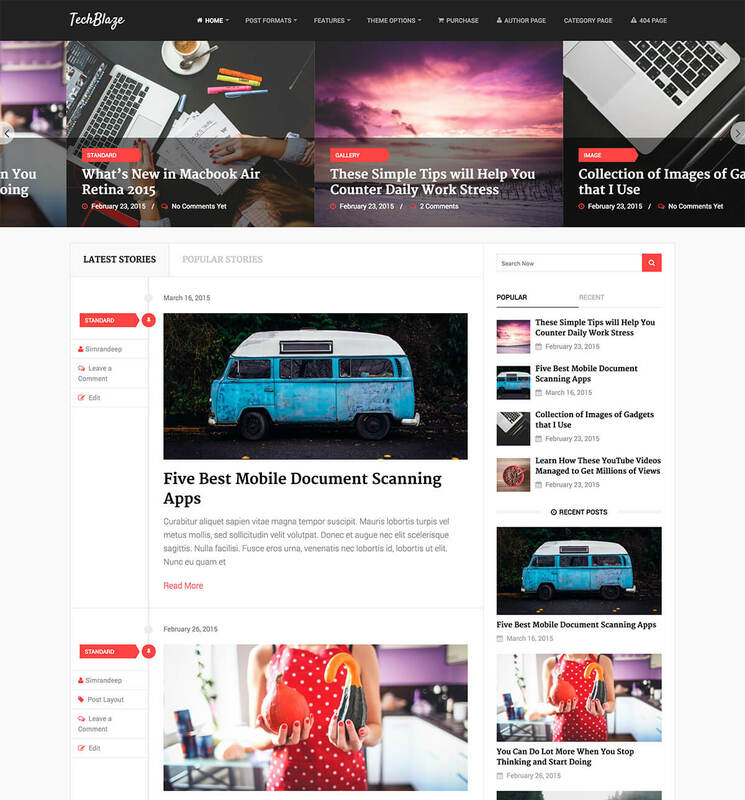 TechBlaze is a professional WordPress theme that is perfect for any kind of blog. TechBlaze supports 10 post formats (Standard, Gallery, Link, Quote, Video, Image, Status Audio, Chat and Aside). It also provides an easy option to choose 9 different layouts for blog and archive pages and 3 different layouts for single pages.